Alström Syndrome UK is proud to have gained recognition in several areas through various awards. Please see some of these below. 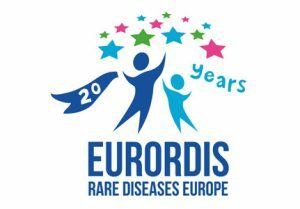 In 2013, ASUK were delighted to be awarded the EURORDIS Patient Organisation Award at a prestigious awards ceremony in Brussels. This prestigious award is given in recognition of extraordinary work and commitment to patient support and advocacy for people with Alström Syndrome. 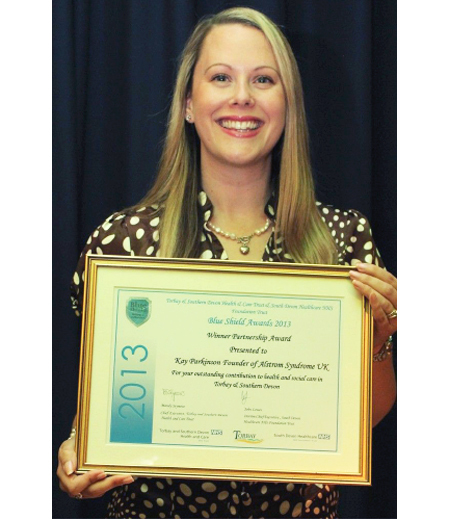 In 2014, ASUK was awarded a Blue Shield Partnership Award in recognition of the Partnership between ASUK and South Devon Healthcare Trust to establish multi-disciplinary clinics for people affected by this ultra rare condition. Catherine Lewis accepted the award on behalf of the charity at the Blue Shield Awards evening, in Torquay on the 8th May 2014.